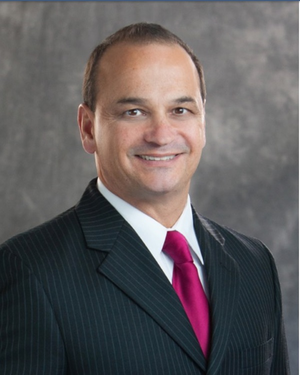 John Dugos' professional passion is to guide people in the area of retirement planning and wealth preservation. He genuinely cares for his clients and respects their hopes, personal goals and dreams. He began his financial career in 1987. He brings his experience and a vast knowledge base, as well as his unique style to every individual situation. He is a registered representative with Fortune Financial Services, Incorporated. His emphasis is in retirement planning and he also specializes in wealth transfer strategies and life insurance analysis. John's main objective for his clients is to help them understand how to preserve their assets and formulate safe income strategies for their long term goals and needs. He has been a consistent member of Fortune Financial Services Inc., President's Club and Chairman's Club. John has also been a featured guest on radio programs and has presented many retirement planning workshops throughout the tri-state area. John is a graduate of Robert Morris University with a degree in Business Administration and a major in Business Information Systems. John has been married for 25 years and lives with his family in Greensburg, PA. He is an avid reader, golfer and health enthusiast. He also shares in his wife's passion for horses and has traveled the United States competing in national Appaloosa events. John's goal is to provide solutions and guidance to his clients with the complex decisions regarding retirement, life insurance, and estate planning. John and his staff are committed to providing efficient and prompt service, which his clients truly appreciate. He is looking forward to the opportunity to help you strategically plan for a sound financial future!